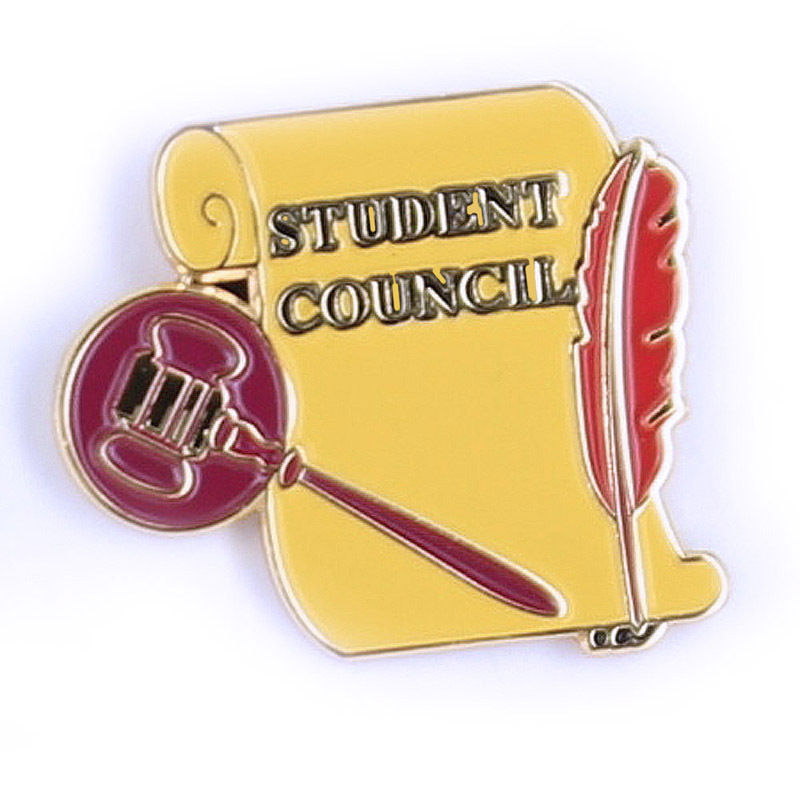 Item Description: Student Council lapel pin. 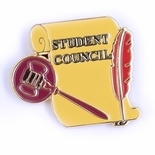 Die struck brass soft epoxy enamel nail clutch pin back. Size 7/8 inch.